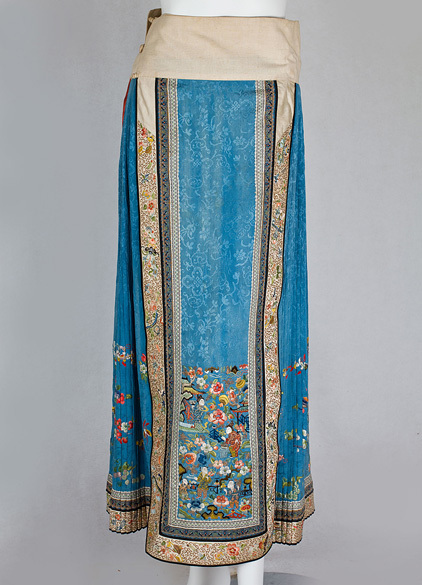 This beautiful wrap-style Chinese skirt is a great if you can live with less than perfect condition. The fading—very slight and limited to the ground silk—, does not detract from the beauty of the piece. 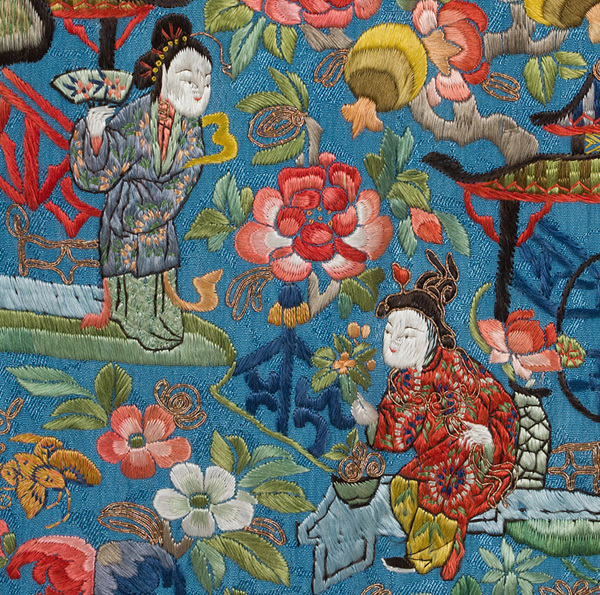 The exquisite hand embroidery is perfectly preserved. 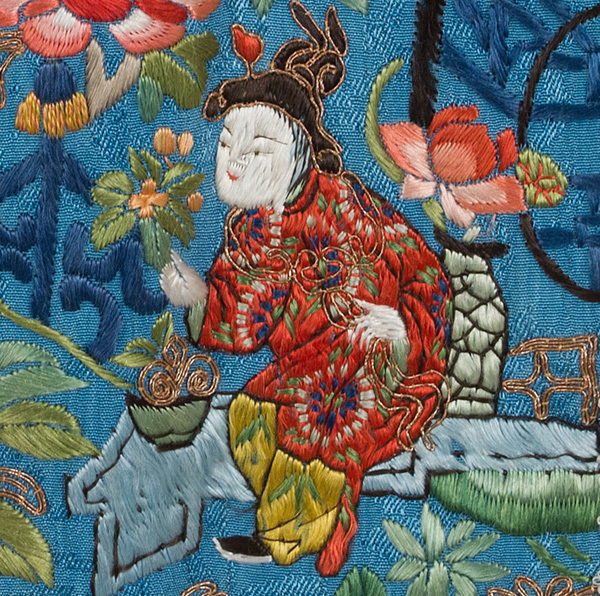 The skirt featured two elaborately hand-embroidered figural panels. 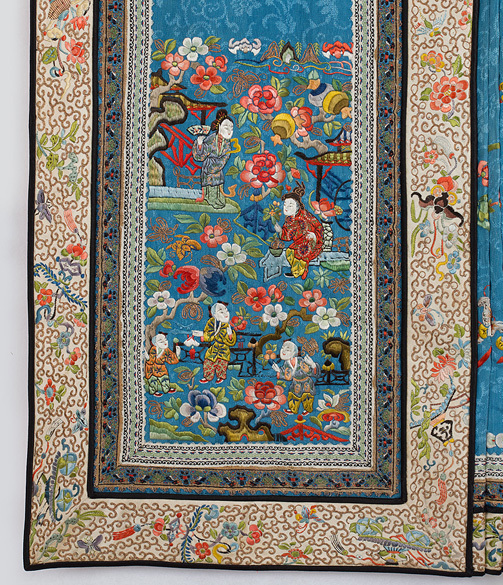 The surrounding pleated panels are embroidered with flowers and insects. 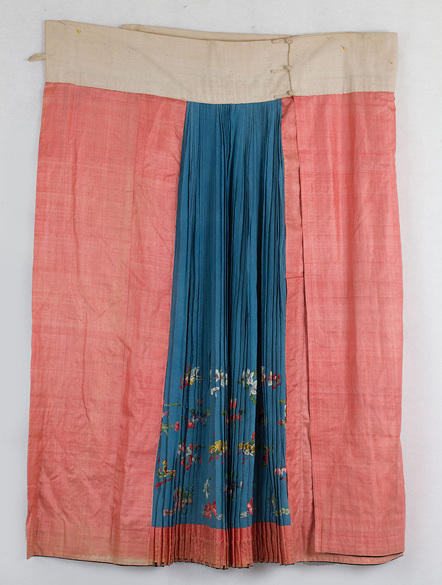 The hand stitched skirt is partially lined with rose colored silk. The wide linen waistband closes with loops and Chinese buttons. The condition is very good. The only problem is slight fading on the blue silk ground. This is reflected in the price. The 4 1/2" wide, wrap-style waistband measures 30" when closed. 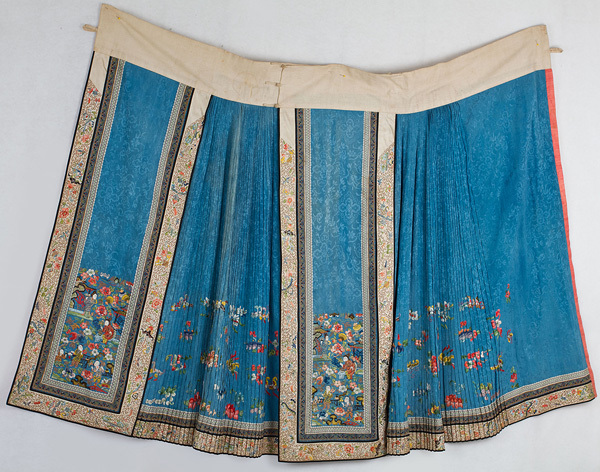 The skirt length, including the waistband, is 39".